Historically, Elizabeth Kubler-Ross’ 5 Stages of Loss, where readily used to explain grieving; this is no longer practiced to support mourners. There are no strategic stages to grieving. Grief is a journey marked by easier moments and moments of hardship. One never gets over the death of a loved one. We simply learn to live with the loss and learn healthier ways of coping. In essence, creating a new normal. The intensity and longevity of grieving emotions and mourning behaviors varies; everyone is different in their journey. However, there are strategies a person can use to take care for themselves through the grieving process. Seek support. Whether is in the form of friends or relatives or professional help. Seek to express what you are feeling and going through at this time. Take care of your health. The stress the body goes through after the death of a loved one can lead to physical complications. Make sure to care for your physical well being; be sure to eat well and get plenty of rest. Be aware of the danger of developing a dependence on medication or alcohol to deal with your grief. Avoid making major life decisions. Give yourself time to adjust to the death. Another change can further complicate your emotional health and further your stress level. National Alliance for Grieving Children. 2016. Web. 30 Jan 2016. Gupta, Sanjay. “How Grief Can Make You Sick.” Everydayhealth. Every Day Health Media, LLC. Web. 28 January 2016. Yaritza Zayas, is a Marriage & Family Therapist and a Licensed Professional Counselor . 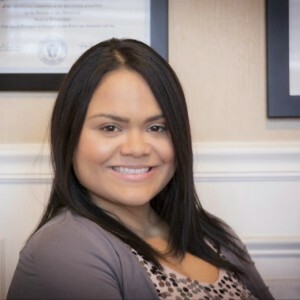 She is co-owner of SHARE Counseling & Therapy Services™, a private practice in Philadelphia, Pa. Yaritza graduated from Temple University with her B.S. in Human Biology and a minor in Anthropology. She earned her Master’s degree in Marriage & Family Therapy from Holy Family University.